(21412.M11.2, Z. P. Meyers/Barney Hillerman Photographic Collection, OHS). Oklahoma's 1907 constitution provided that black and white children must attend separate (racially segregated) school facilities, a situation that endured unchanged for nearly half a century. "Separate," however, did not necessarily mean "equal" in the quality of education provided. In 1954 the U.S. Supreme Court issued a decision in Brown v. Board of Education of Topeka, Kansas, sounding the death knell for segregated educational facilities by ruling that separate schools failed to provide black children equal protection under the law. That is, they were inherently (and actually) unequal. With federal funding for education now threatened by any refusal to adhere to the court's interpretation, most states took measures to integrate their public schools. Oklahoma, the only state with a constitution that mandated separate schools and different funding methods for each, could not simply pass a law requiring school integration. Gov. Raymond Gary took the lead in promoting a constitutional amendment that would reorganize school funding, end the county tax levy that funded the separate schools, and place all school levies in a common school fund. Doing so would encourage school systems to close the now-unfunded separate schools, consolidate separate schools and small schools into a larger system, and thus effectively solve the problem. On January 7, 1955, the Oklahoma Legislature passed a joint resolution to change the funding method and distribute funds according to average daily attendance. In reality, this would primarily affect Lawton, Oklahoma City, and Tulsa, which had large numbers of students, and would encourage those school boards to close the segregated schools. The amendment passed through the legislature, and on March 9 the governor signed it into law. A vote of the people was set on municipal election day, April 5, 1955. Governor Gary campaigned vigorously in support of the amendment, and in a substantial turnout, it passed by 231,097 votes to 73,021. In many ways the tally revealed old sectional sympathies: Oklahoma City and Tulsa voters overwhelmingly approved, and in the rural southeast and Panhandle, voters overwhelmingly voted against ending segregated schools. Racial segregation in educational facilities did not, however, end with the constitutional amendment that prohibited separate schools. Functionally, segregation continued, and into the 1960s the School Code continued to contain the regulations mandating separate schools. In fact, some southeastern counties strongly resisted the process. In 1955–56, 273 schools were integrated, mostly in urban areas, and over the next ten years more districts responded. 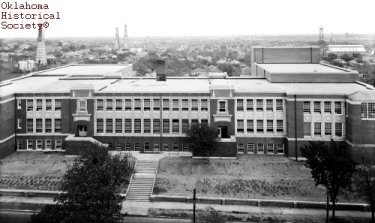 De facto segregation, based on where children lived within the district, continued to exist, despite lawsuits by African Americans like Alphonso L. Dowell, who in 1961 sued the Oklahoma City school district in order to gain admission for his son to the all-white Northeast High School. In 1972 the U.S. Supreme Court ruled that Oklahoma City must institute a policy of busing students around the district in order to comply with federal law. The Better Schools Amendment did, however, set the state on the road to providing equal educational opportunity for all of its citizens, regardless of race, ethnicity, or gender. Governor Gary considered the amendment the crowning achievement of his administration. Monroe Billington, "Public School Integration in Oklahoma, 1954–1963," The Historian 26 (1964). Daily Oklahoman (Oklahoma City), 6 April 1955. D. Keith Lough, "'Hoorah for Integration!' The Adoption of the 1955 Better Schools Amendment," The Chronicles of Oklahoma 85 (Summer 2007). John Perry, "City School District Makeup Changed Since Dowell Case," Daily Oklahoman (Oklahoma City), 29 March 1990. Oklahoma Statutes, 1955 (St. Paul, Minn.: West Publishing Co., 1955). Dianna Everett, "Better Schools Amendment," The Encyclopedia of Oklahoma History and Culture, https://www.okhistory.org/publications/enc/entry.php?entry=BE028.